A quick Google search of the term “company culture” brings up 14,600,000 results. The concept of company culture was once a topic of discussion among sociologists and theorists alone. It became more widely known in the early 90s, and now it seems we can’t stop talking about it. I’ll admit, sometimes company culture comes off more like a dog and pony show than a serious set of organizational beliefs. Company values get painted in big letters across office walls (guilty as charged! ), ping pong tables and fully-stocked kitchens abound (guilty, once again) and over-the-top team building activities are thrown onto people’s already busy schedules (I like to think I keep this one in check). 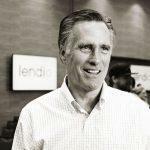 Several weeks ago, we were lucky enough to have Utah Senator-elect Mitt Romney speak to the team here at Lendio headquarters. Mitt has been a personal hero of mine for many reasons, but I particularly admire his sharp business mind and leadership abilities. During the visit, I had a chance to spend a few minutes one-on-one with Mitt, discussing Lendio, our vision for the future and the significant impact we are having on the economy. One of the most impactful lessons Mitt shared with our group was this: “Across any organization, the culture and how the team responds and reacts, is a reflection of who’s at the top, the leader.” In other words, not only am I the CEO of the company, I’m the CCO, or Corporate Culture Officer. Lendio was born out of my own obsession with fueling the American dream. Trent Miskin (my co-founder) and I started this business to provide small business owners with access to growth capital. To date, we’ve facilitated over $1B in financing which has generated an estimated $3.8B in gross economic output. But none of this would have come to fruition without a large group of people willing to buy in to and share my obsession, starting with the talented group of leaders that make up the executive team. The values we share trickle down through the entire organization and drive everything we do. Of course we never want to create a culture where executives dictate every value, belief or principle. We also don’t want to be part of the 80% of executives who claim the employee experience is very important, yet only 22% of them say their companies excel at building an exceptional company culture. That’s why we created a culture committee that meets monthly for in-depth discussions and planning. This is one way we keep a finger on the pulse of the company culture to ensure it’s thriving and healthy. Asking employees from different departments to participate on the committee also allows us to take into account the collective vision, values, assumptions, habits and desires of the employees. Recently, Lendio was recognized as a Great Place to Work for the third consecutive year. Some may say these awards are nothing but public relations tactics—just a collection of fancy plaques to display on the wall in the office lobby. Sure, they do enhance a company’s PR and recruiting efforts, but I think they have legitimate value beyond that. To me, applying for a certification like Great Place to Work is a lot like going to the doctor for a physical. It’s a chance to get an independent checkup, see what’s healthy, what needs to be improved and what sort of major work might need to be done. It’s preventative care for the company. Oftentimes, the hard work isn’t in defining your culture, but in constantly evaluating it to ensure it’s evolving with the business while holding strong to core values. Great Place to Work uses assessment tools and certification programs to recognize high-trust, high-performance workplace cultures. To receive the certification, a company’s employees are surveyed anonymously by independent analysts about what makes (or doesn’t make) their company a great place to work. The results from Lendio’s latest study gave me a great snapshot. Over 100 employees completed surveys and ranked significant factors of workplace satisfaction, including challenges, atmosphere and pride. According to the study, 94 percent of employees say Lendio is a great workplace. The survey also revealed the areas of workplace satisfaction that need more attention moving forward. While speaking at Lendio, Mitt shared a story about his interactions as a member of the Board of Directors for Marriott Hotels. The company’s 700,000 employees have a passion for taking great care of their guests and work hard to demonstrate that through every customer interaction. Marriott’s hiring process is structured to identify these types of employees—those who will carry the banner of hospitality and represent the company well. In Utah, where Lendio is headquartered, corporate culture is king. We’re competing for top talent with the likes of Qualtrics, Pluralsight, Amazon, Adobe and dozens of other burgeoning companies. With a booming economy that leads the nation in job growth at 3.9%, and one of the lowest unemployment rates at just over 3.0%, attracting and retaining employees in this state often comes down to one thing: company culture. A recent LinkedIn study revealed that 70% of professionals in the U.S. today would not work at a leading company if it meant they had to tolerate a bad workplace culture. Sixty-five percent said they would rather put up with lower pay, and more than a quarter said they’d rather pass up a better job title than deal with a bad workplace environment. When it comes to hiring, managers are also willing to make concessions for good cultural fits. Recently, I had two candidates vying for a job. One was definitely more experienced than the other. Despite our team’s best efforts to bring out his passion, and our hopes that he would prove to be a good cultural fit, ultimately it just didn’t feel right to bring him on board. We hired the other less-experienced candidate, still an incredibly qualified and capable individual, because we could tell he was the better candidate from a shared values standpoint. The same factors play a role in deciding to let employees go as well. Bonobos founder Andy Dunn says, “The most important people to the culture are those who leave … the people you fire are more important to your culture than the people you hire.” In other words, culture is ultimately defined and reinforced by who stays and who goes, who fits and who doesn’t. I’ve hired several boomerang employees who previously worked for the company, left and later returned. All of them said the company culture was the number one reason why they came back. As you’d expect from a former presidential candidate, Mitt was very personable with our group. He was witty and joked about losing both presidential elections. He was gracious and acknowledged the positive things President Trump has accomplished in office. He was sincere and shared real stories and learning experiences from his life. While there was plenty of serious discussion, he offered a refreshing mix of earnestness and humor. His example reminded our team that life, and company cultures, don’t have to be all business, all the time. I got my first real taste of corporate culture was in college and visited my brother who was working at Omniture. What I witnessed there had a lasting impact on me, and ultimately on the company culture I’ve worked hard to nurture. From their legendary Halloween parties to the in-office perks, they had found a way to make the workplace fun, without sacrificing results. In fact, the company culture seemed to enhance the employees’ performance, output and results, something Gallup highlighted in its latest state of the workplace report. The report shows highly engaged business units achieve a 10% increase in customer metrics and a 20% increase in sales. Growing up as the youngest of six kids—with four older brothers—I developed a very competitive nature. I do not like losing. Around the office, we’ve embraced competition as one of our shared values. One of our favorite events of the year is the rivalry football game between BYU (good guys) and the University of Utah (bad guys). A few years ago, I arrived at work to find someone had painted my entire office red. One employee’s car was completely wrapped in blue. We’ve raised money for charity and smashed cars with cranes during rivalry week. It’s all in fun and the employees really get into it. But it’s also created a work environment where having fun and working hard go hand in hand. What’s the point of winning if we can’t have fun along the way? Every company has a culture: they range from healthy to downright dysfunctional. The key to having the former over the latter lies in leadership aligning every function of the business around tenets that motivate and unite its people. Once you have that foundation, continue bringing on employees who share the vision, say goodbye to those who don’t, make room for having fun along the way and regularly gather employee feedback to ensure the heart of your business continues to beat strong. I’m grateful to Senator-elect Romney for taking time out of his busy schedule to visit with the Lendio team and me. Not only did he instruct us well on matters of leadership and culture, but as a man of integrity and tremendous experience, he also gave us plenty of takeaways to better our lives on a personal level.